After naming Osama bin Laden's long-serving number two, Ayman al-Zawahri, Al-Qaeda's new leader, the terror group said it "will never recognize any legitimacy for the alleged state of Israel." "We assure our people in Palestine that we will not accept any compromise with anyone regarding the land of Palestine," the Al-Qaeda statement read. A United States counter-terrorism official told Reuters Washington believed the announcement was genuine, but the State Department was dismissive of its significance. Zawahri, the brains behind much of al-Qaeda's strategy, was appointed leader a month and a half after the assassination of Bin Laden. "We seek the help of God to preach the true religion, to incite the nation to get ready and fight to fulfill the duty of fighting the infidels who aggress on the land of Islam, led by America and its spoiled child Israel, to fight them with all our might," the announcement stated. Al-Qaeda encourage the riots in the Muslim world, saying: "We support the uprisings of our oppressed Muslim people who rose up in the face of the corrupt tyrants who dealt our nation the worst kind of torture in Egypt, Tunisia, Libya, Yemen, Syria and Morocco. We urge them and other Muslim people to rise up." 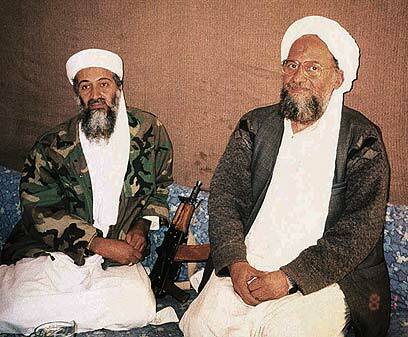 Ever since then Zawahri has been appearing in videos praising the Taliban and the armed operations against the US. In April, he urged Muslims to fight NATO and American forces in Libya. Earlier this month he released a new video recording following the death of bin Laden in May, vowing to press ahead with the group's campaign against the United States and its allies. In a video message posted on the internet on June 8, Zawahri said al-Qaeda would continue to fight. He called this year's Arab uprisings a disaster for Washington because, he said, they would remove Arab leaders who were the "agents of America". See all talkbacks "Al-Qaeda: No compromise on Palestine "